Public Transportation: The office is located across the street from Sequoia Station, 1 block south of Sequoia High School, and .2 miles from the Redwood City Caltrain stop. For help with a legal problem involving Housing, Public Benefits, or Consumer Law, please call our Legal Advice Line for assistance. For help with a legal problem involving Health Care Access or unfair medical billing, please call the Health Consumer Center for assistance. 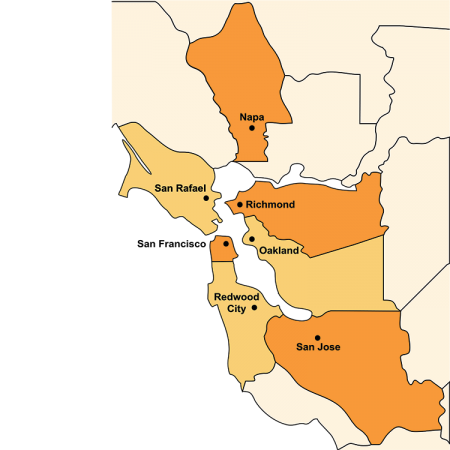 Bay Area Legal Aid offers weekly Domestic Violence Restraining Order Clinics in Redwood City, Daly City, and South San Francisco, and weekly Consumer Rights Clinics in Redwood City. Click here for clinics at all Bay Area locations.